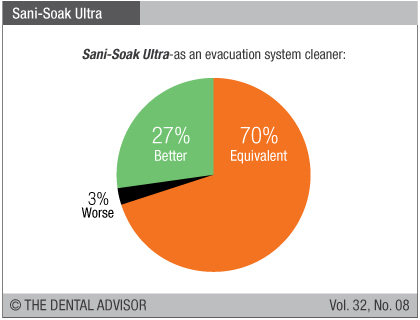 Use of Sani-Soak Ultra as an evacuation system cleaner should be limited to wet vacuum systems. Dry vacs require a non-foaming cleaner. When mixing, fill container with water first, then add Sani-Soak Ultra to avoid foaming. 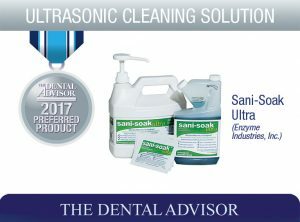 Sani-Soak Ultra is an anti-corrosive, enzymatic cleaner that can be used as an ultrasonic cleaner and/or an evacuation system cleaner. 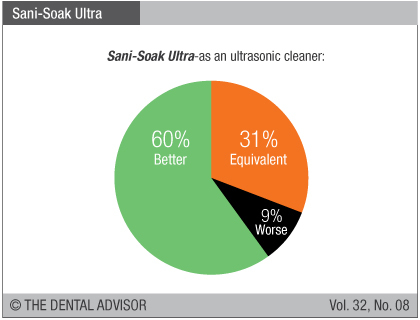 Sani-Soak Ultra is designed to brighten and extend the life of instruments, is non-toxic, and is safe to use on burs, and instruments. It is available in a lemongrass lavender scent. Sani-Soak Ultra is available in a one-quart bottle or a 64-count box of 0.5 oz uni-dose packets. The quart bottle has a built-in “tip and measure” cup, and it yields 64 gallons of cleaner. 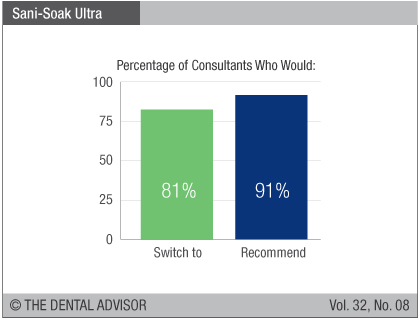 Sani-Soak Ultra was evaluated by 32 consultants in 907 uses. 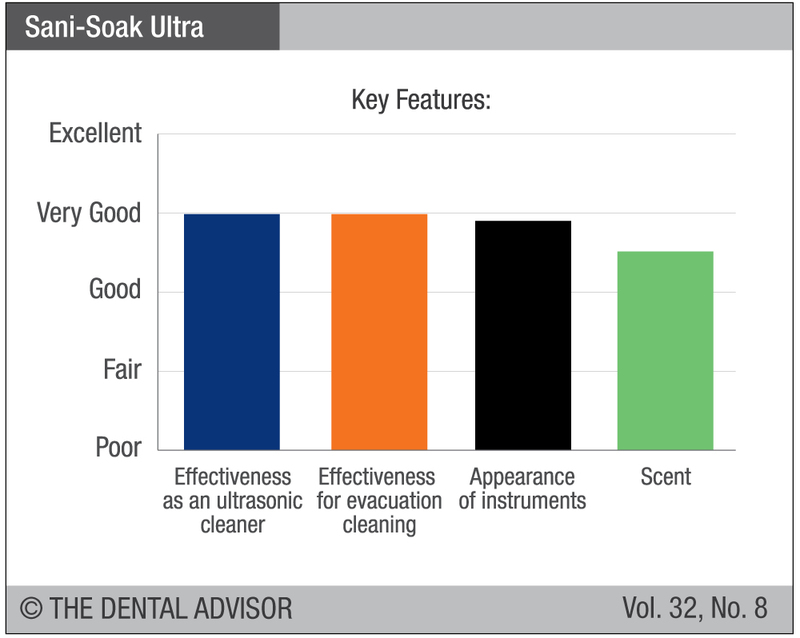 This ultrasonic cleaner and evacuation system cleaner received a 91% clinical rating. Many offices like the fresh scent of Sani-Soak Ultra while others found it to be strong or offensive. The scent becomes more apparent in small spaces and becomes stronger as the ultrasonic solution warms up after repeated use. This versatile product saves storage space by offering multiple uses. When used as an ultrasonic cleaner or pre-soak, Sani-Soak Ultra effectively cleans organic debris from stainless steel instruments, leaving them clean and shiny. Some reduction in existing rust spots can be seen. Offices that prefer to avoid measuring the concentrate find the unit-dose packets to be a great convenience. Others prefer the quart bottle that offers easy and accurate measuring. 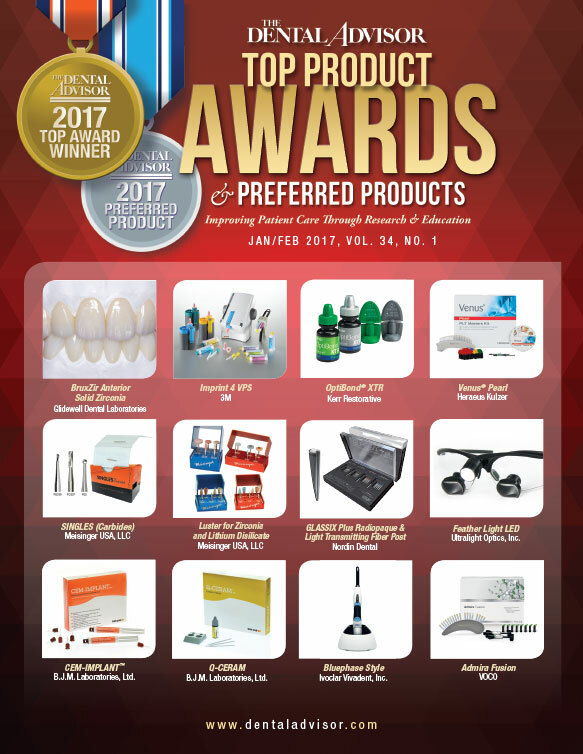 The non-toxic formulation is an important consideration for many dental offices.